One of my Twitter peoples laughed when I said I thought that Ghosts new album would be better than Raekwon's newest release. 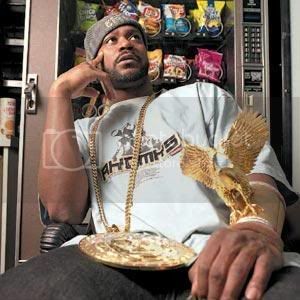 Well, it isn't better by say the lyrics or the songs but it is an interesting concept that only Ghostface, out of anyone from the Wu, could pull off. 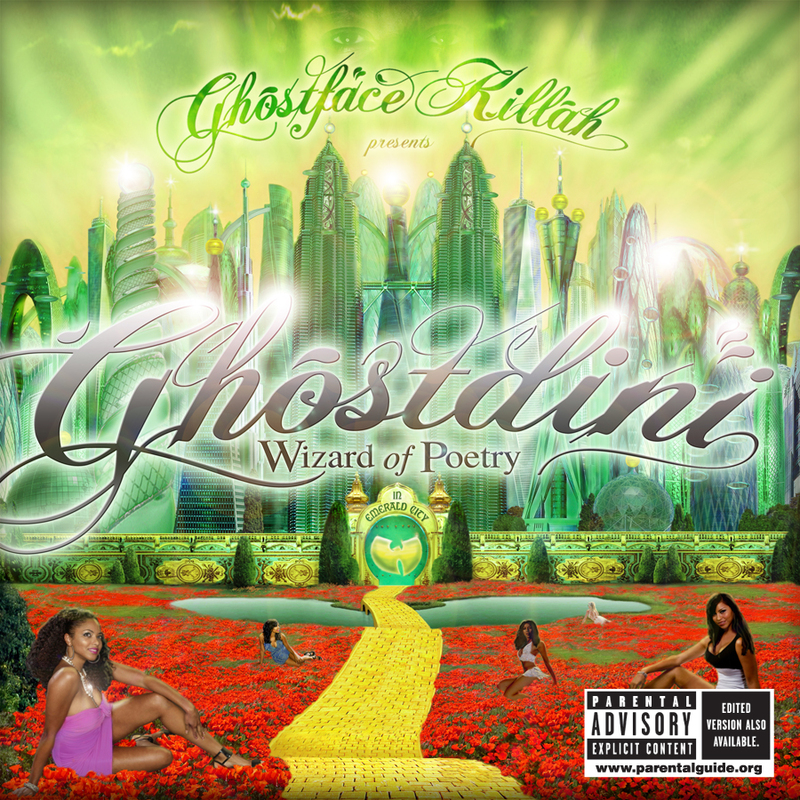 First off, the album is called in it's entirety: "Ghostdini the Wizard of Poetry in the Emerald City". I know, a big wtf goes up in my brain as well. If you're regular to the blog, then you might have seen my post a few weeks back about whether or not there could be another Best of Both Worlds hybrid hip-hop and r and b album. Instead of teaming with one singer to do an album, Ghost brings several together to co-star with him on this effort which is a collection of potential singles in my mind for any normal artist. This is hip-hop for you and your down chick as you leave the M.O.P. concert lol. My Favorite Ghost picture ever! Let me run down the features first, Shareefa on "Not Your Average Girl", Raheem Devaughn gets two songs, John Legend, Fabolous, Lloyd, Adrienne Bailon, Vaughn An, and Ron Browz. Ghost recently acted angry about D.O.A. because of the song with Browz however, if the radio were not a popularity contest, Ghost definately would not need that song with it's autotune to get some airplay. "Do Over" the first of the tracks with Raheem would be a perfect single. So would the second song with Devaughn "Baby" although I am disappointed someone with talent like Radio Ra would resort to using the autotune himself. It's not all love on the album though "Guest House" is a story rap where Ghost is looking for his cheating girl who is with Fabolous as the Fios guy with whom she is having an affair. "Let's stop Playing" is another great song with a John Legend hook. This album is another one that is hard to describe but you have to listen to it. Ghost's lrics are uncharacteristically on topic but they are still as sharp as ever. The production is even better. Ghost should have helped Rae more with his beat selection on OB4CL2 because in this album it's on point. This is not the typical rap album but it works very well. This is a suggested buy. I can't wait to get this album--make sure u all cop it Tuesday 9/29! One of my Twitter peoples laughed when I said I thought that Ghosts new album would be better than Raekwon's newest release. It was a great album and excellently executed. It's been on constant rotation. Not to say neither is better but both hit their marks rather well.